I was looking at this old issue of Byte Magazine online talking about Smalltalk. 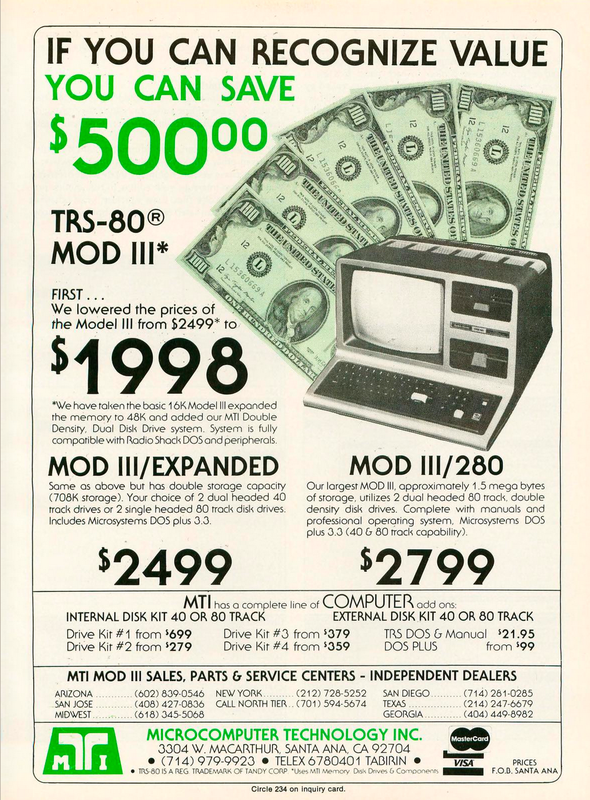 Lo and behold there was an ad for my first computer, an MTI TRS-80 Model III. It was $1,998 in 1981 dollars which would be $5,136 today. That’s was a lot of money for my family and a ton of money to be spent on a 14-year old. But well worth it!